MAYNOOTH, Ireland – Denmark, bolstered by the stellar play of 17-year-old identical twins Nicolai and Rasmus Hojgaard, held off a surging field to win its first World Amateur Team Championship at 39-under-par 541 by one stroke over the USA. The Danes claimed the Eisenhower Trophy in their 25th appearance as Nicolai Hojgaard, the 2018 European Amateur champion, posted a 7-under-par 66 and his brother Rasmus fired a 6-under-67 for a team total of 13-under-par 133 on the par-73 O’Meara Course. Teammate John Axelsen posted a non-counting 4-under 69. Previously, in 2010, Denmark had claimed the silver medal. Nicolai notched five birdies in his final nine holes and Rasmus logged three as they took the lead from a tightly-packed leaderboard. Four teams, Denmark, USA, Spain and New Zealand, were tied at 34-under as the last groups made the turn. The USA used a strong finish by University of Texas freshman and 2018 U.S. Amateur semifinalist Cole Hammer (7-under 66) and University of Southern California senior Justin Suh (4-under 69) to pass Spain for the silver medal at 38-under-par 542. Spain took the bronze medal at 36-under 544. 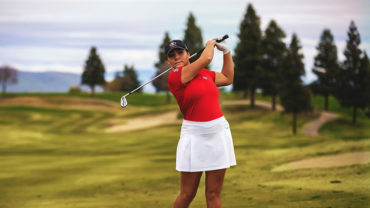 New Zealand, which held the lead through 36 and 54 holes, was fourth at 545, followed by Norway, Italy and Thailand tied for fifth at 548; England in eighth at 549, Canada in ninth at 550 and host Ireland and Germany tied for 10th at 553. Although there is no official recognition, Spain’s Alejandro “Alex” Del Rey was the low individual scorer at 23-under 267. He and England’s Matthew Jordan shot the low scores in the fourth round at 8-under 65. 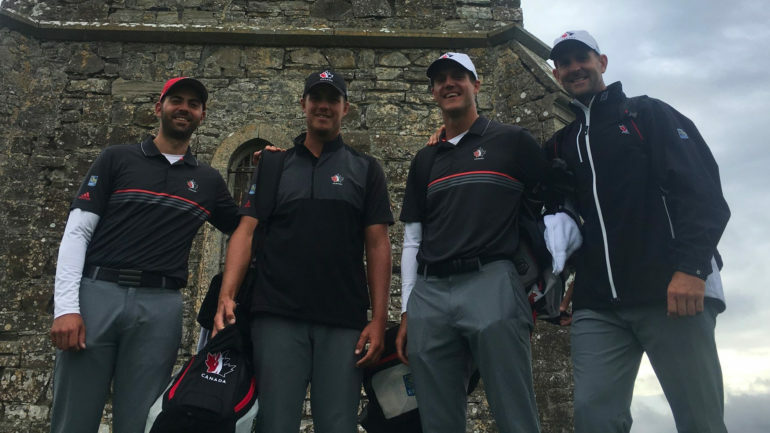 The Canadian squad carded a final-round of 10 under par to climb into sole possession of 9th place overall. The trio finished at 30 under par, with Joey Savoie of La Prairie, Que., leading the way at 13 under. Fellow Quebec native Hugo Bernard finished at 11 under par while Garrett Rank of Elmira, Ont., closed out at 7 under par. Last week, the Canadian women’s team rallied back from T39 to finish in 7th place. In 29 appearances at the World Amateur Team Championship, Canada has captured the Eisenhower Trophy on one occasion (1986) and earned runner-up honours five times. 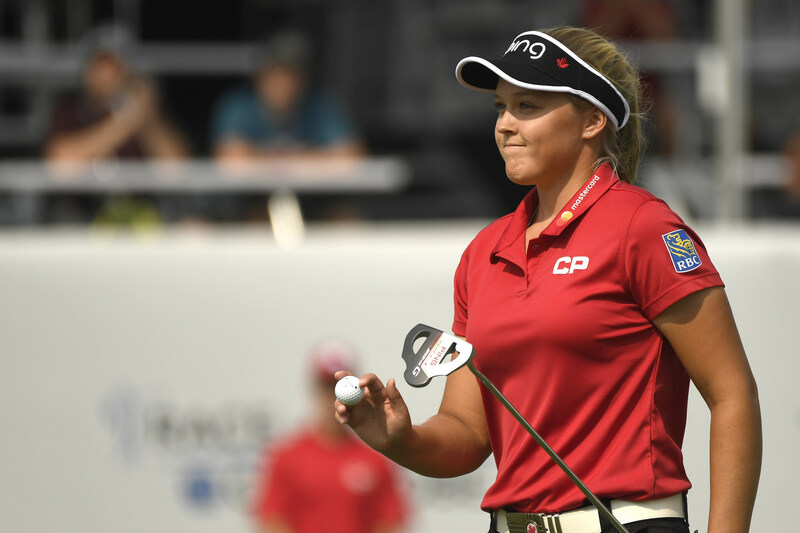 In 25 appearances at the Women’s World Amateur Team Championship, Canada has earned runner-up honours four times. The 32nd World Amateur Team Championship for the Eisenhower Trophy and the 29th Women’s World Amateur Team Championship for the Espirito Santo Trophy are set for Hong Kong in 2020.